La Famille Ouellette in Montreal or Quebec City? Inform me about the next events for La Famille Ouellette. Enroll yourself to our priority waiting list for La Famille Ouellette to be alerted when new tickets are available. Filling this form doesn't engage you to any purchase. La Famille Ouellette is a collective that was initially formed to participate in the Francouvertes. After winning the contest, La Famille Ouellette decided to continue the adventure and began composing songs with powerful, catchy and feverish melodies. 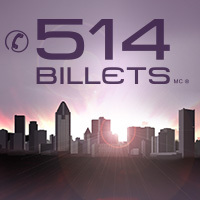 514-billets.com allows you to book your tickets for the show La Famille Ouelette scheduled for the Quebec Summer Festival on July 11, 2018 at 6 pm at Place d'Youville.